All of the convenience of a new build in the Cherry Creek School District without the wait!! This 4 BR 4 BA 2016 gorgeous contemporary paired home is completely upgraded with an attached 2-car garage and a private fenced side yard. The open floor plan features a large family room with gas fireplace that flows seamlessly into the completely upgraded kitchen featuring granite countertops, deep solid wood cabinets with plenty of storage space, and Whirlpool stainless steel appliances.The upper level has a large loft/family room, 3 bedrooms, 2 baths, and 2nd floor laundry for convenience. The spacious Master Bedroom includes a large walk-in and an additional closet, beautiful master suite with designer bathroom finishes and double vanities. The basement has another large, finished living space that can be used as either a bedroom or additional entertainment space complete with full bathroom. 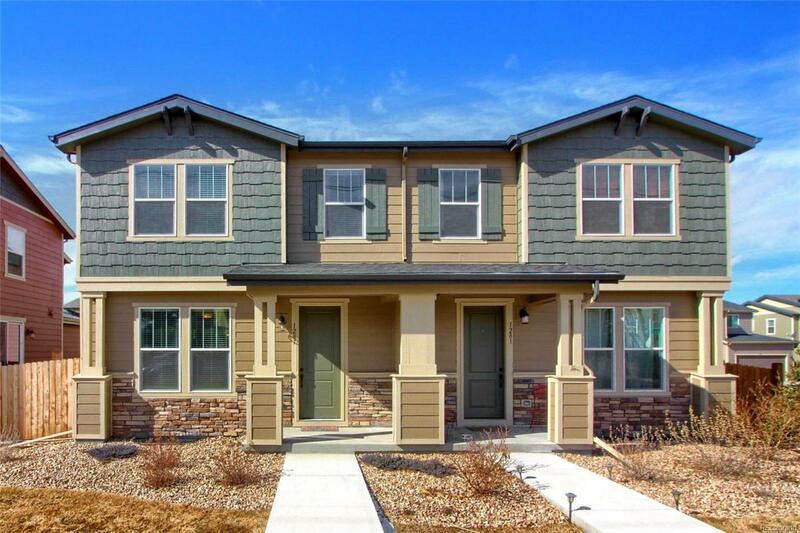 Easy access to shopping, restaurants, DIA, DTC, Cherry Creek, Lowry, and numerous trails!